Our February café was set as more of a career fair setting at the Atlanta Teen Science Café. Mr. Marcus-Tor Strickland, an electrical engineer and entrepreneur served as the speaker. 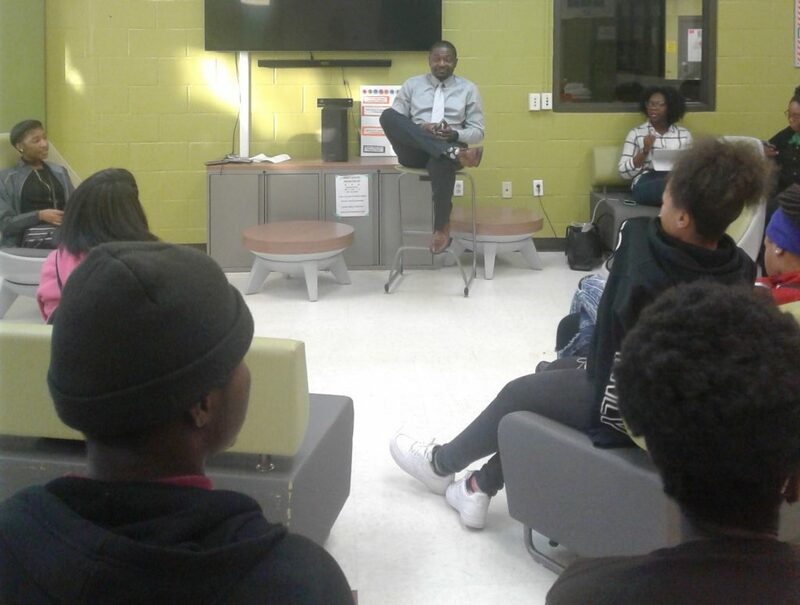 Coincidently, the café took place right after National Engineers Week, so it was nice to have an engineer come in and share about himself and the work he does. 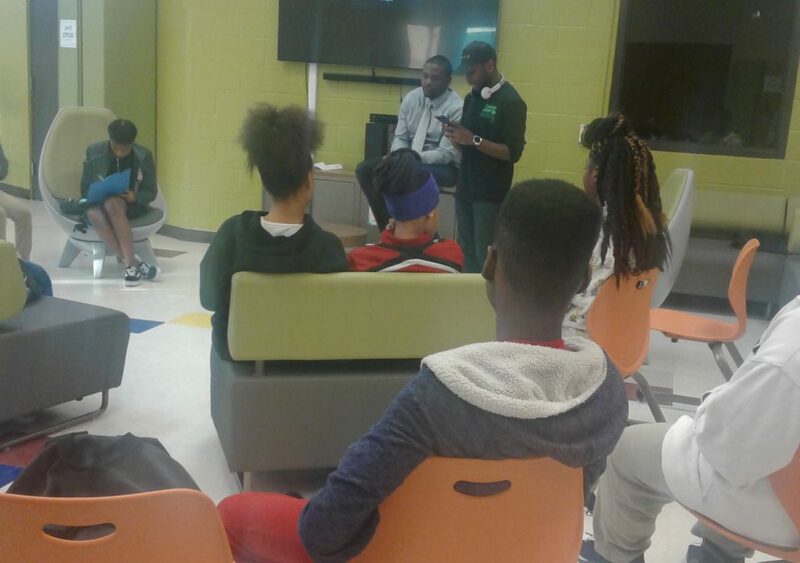 Mr. Strickland spoke to the students about what engineers do, his journey to become an engineer, as well as his current work as an entrepreneur. He spoke to the kids about intellectual property, which is the rights, patents and trademarks of ideas and designs. He deals with this a great deal in his work as an entrepreneur. He also spoke with the students about the importance of giving back to the community once he became a STEM professional. The speaker gave motivational words to the students about the importance of not limiting oneself, and that the possibilities are endless for them, and that they achieve anything they put their minds and focused efforts toward. The students were really engaged in the conversation and the activity. For the teens, the coolest thing they thought they learned in the café was the speaker talking about the potential salaries of engineers. Who doesn’t find money exciting? Also, they enjoyed learning about his community outreach efforts. The hands on activity had to be adjusted due to technical difficulty. The adapted hands on activity was a career discussion where the students learned about engineering careers, intellectual property and their career aspirations.